These decoration screens were originally designed in the Song dynasty as a stationary item use for shielding the ink well from wind. The Chinese ink from the old days do not come in a bottle but only as ink bars which require laborious grinding to solve. The screen would protect the ink from evaporation cause by wind (I wonder why they dont just make a lid for the ink well …). As time goes by these functional screen became more and more decorative and take their own places on the table just as a decoration. 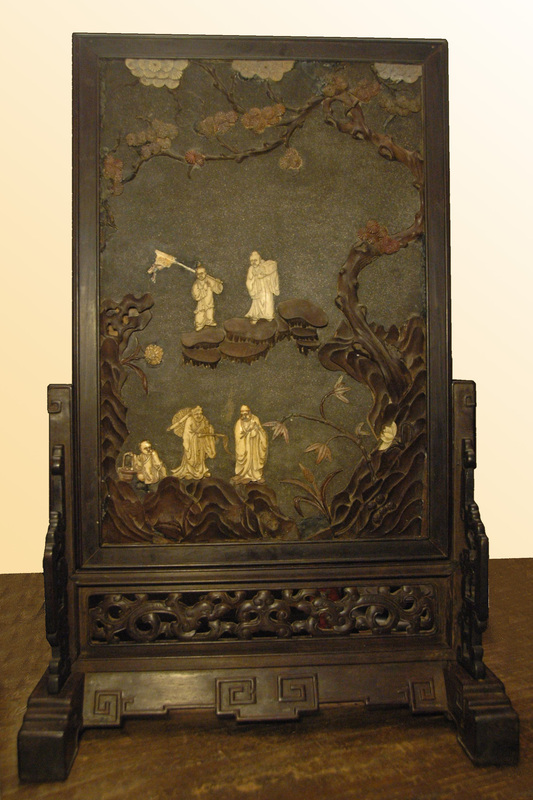 The center piece of this Cha Ping is decorated with ivory and wood while the frame and base is made of mahogany.